Dust 2 Dust: "Gonna Kick it Root Down!" "Gonna Kick it Root Down!" Mmm. I think I must be missing something very obvious. It looks interesting, but is there a download link or is this blog just for chatting about records rather than downloading them? Click the word "Root" in "Root Down", it'll lead to a download link. This one looks good. Thanks for sharing! Seems a lot of blogs are pretty quiet this month. 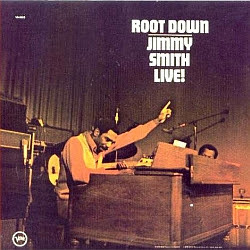 Thanks for the Jimmy Smith album. He is one of my fav's.